"Ralph's Indiana Bicentennial Coloring and Activity Book" teaches lessons in Indiana's history through fun games and pictures to color. Drawing From History books provide lessons in history and art. Subjects for lessons are taken from history. 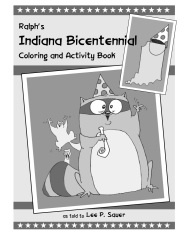 Ralph's Indiana Bicentennial Coloring and Activity Book, is now available. It includes pictures to color and fun activities. Buy "Ralph's Indiana Bicentennial Coloring and Activity Book" NOW! 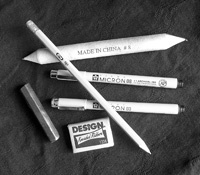 If you would like to see the tools, or to purchase them online, click the buttons below. Abraham Lincoln. 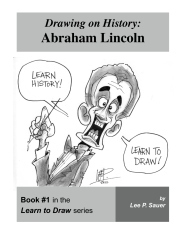 Learn how to draw people, animals and objects associated with the life of our 16th president.